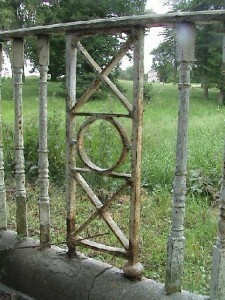 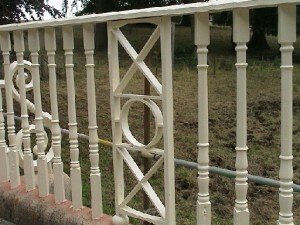 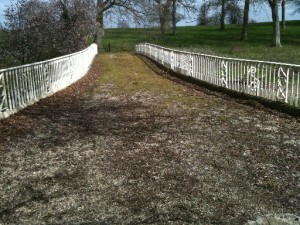 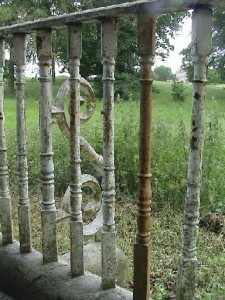 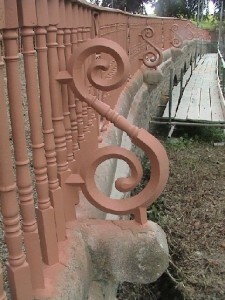 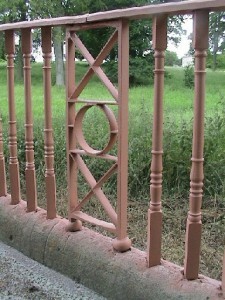 The railings below are on a private estate. 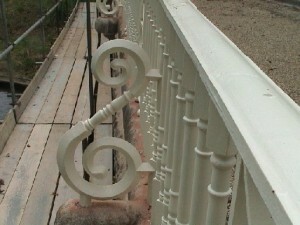 The owners were getting married and wanted them to look good for their special day. 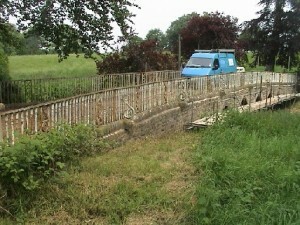 They wanted to travel back from the church in an old carriage and travel over the old bridge. 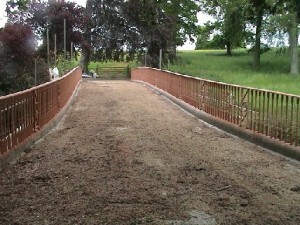 In this case care had to be taken so as not to contaminate the water below – this meant we had to change our normal blasting abrasive to one that wouldn’t have any detrimental effect on the environment – and in the end we chose a natural stone grit.